The Pearland Regional Airport is set to launch $500,000 in renovations and upgrades thanks to a grant from the Federal Aviation Administration that will be administered by the Texas Department of Transportation. The grant will fund safety and security improvements including new entrance gates, signage, striping and lighting designed to increase visibility of runway markings for pilots. Project costs will be funded through the Clover Acquisition Corp. and TxDot's Aviation Facilities Grant Program. "The airport is truly a small city now, and this grant will go a long way to ensuring that the airport is set to safely and efficiently continue its robust development," said Stephen Alexander of Texas Aviation Partners, the managing firm of the airport. "The enhancements the airport will receive will help to make sure that aircraft can navigate the airport safely, alongside their four-wheeled counterparts." The airport, a privately owned airfield open to the public, is home to a variety of tenants and businesses including several flights schools, airplane and helicopter maintenance shops and 20 full-time residents who live in homes or condos connected to private airplane storage facilities. Built as a private facility in 1940 by the George R. Brown family, the 320-acre airport was transitioned to public use in 1950. Clover Acquisition acquired the property in 1957 and renamed it Clover Field. The airport, which has one 5,000-foot runway that can accommodate up to medium-size aircraft, was renamed Pearland Regional Airport in 2003. Texas Aviation Partners took over management in June 2013. Two flying clubs, Coastal Skies and the Bar Area Aero Club, are based at the airport. In addition to flying lessons, airplane rentals and air tours for non-pilots interested in sightseeing, the clubs offer group comprehensive insurance and social events for members. Operations manager Adam Arceneaux said the improvements will provide new security gates at the four airport entrances. "We also plan to upgrade all the taxiway and runway lights, install additional lights and refurbish the airport beacon tower," he said. "Our goal is to maintain a safe environment for pilots and make sure we are ahead of the curve in terms of infrastructure." He said contracts will be awarded for all the proposed upgrades through a competitive bidding process. The work should start this month or August and take two to three months to complete. "We're working to manage growth in a smart, measured way," he said. "We want to make data-driven decisions for not just the airport but for the entire community. This grant is the next step for us." This grant is a huge shot of adrenaline because it helps us step up our game." Representative Ed Thompson, R-Pearland, said the grant would give the airport the opportunity to increase its economic development impact within the area. "General aviation is a vital industry to our state's economic growth," he said. "I'm so pleased that Pearland Regional Airport is being recognized for their contribution and being given the opportunity to expand their impact." Texas Transportation Commissioner Laura Ryan also praised the airport. "Providing this funding to the Pearland Regional Airport is key to supporting area aviation," she said. "This is a vibrant facility that plays an important economic role in the local community." The 1.5 MIL construction of T-Hangars at Pearland Airport has been completed with bi-fold doors, 120-v outlets, and space for supplies. 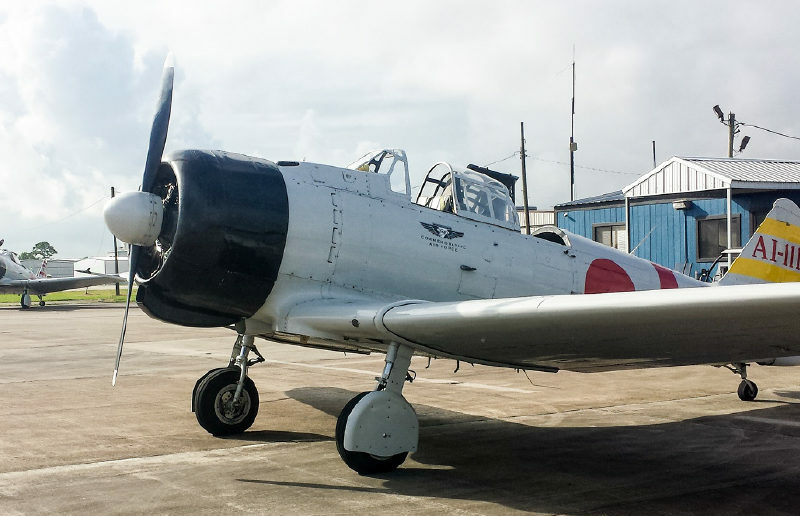 After months of anticipation, tenants who pre-leased a T-hangar at Pearland Regional Airport were excited to pick up the keys to their units on Monday. "It's been a lot of fun showing these pilots to their brand new hangars," said operations manager Adam Arceneaux. "It's like Christmas morning around here." Construction of the $1.5 million 23 unit T-hangar project is part of a multi-phase development plan put together by Texas Aviation Partners (airport management) and Clover Acquisition Corporation (airport owner). Stephen Alexander with Texas Aviation Partners thinks the few remaining unleased units will go quickly. The T-hangars include electric bi-fold doors, 120-v outlets, plenty of space for supplies, and are in close proximity to the runway. They are expected to bring growth and development not only to the airport, but also to the surrounding area, as many of the alternative airport options do not have adequate hangar availability. For more information about leasing, please visit www.flypearland.com/hangar-development or email LVJ@texasaviationpartners.com.